Mr. Shuvo is a PhD researcher at Population Wellbeing and Environment Research Lab (PowerLab), School of Health and Society under the Faculty of Social Sciences, University of Wollongong (UOW), Australia. His PhD research is focusing on the role of urban green spaces (UGS) on healthy and active ageing in different geo-demographic context. 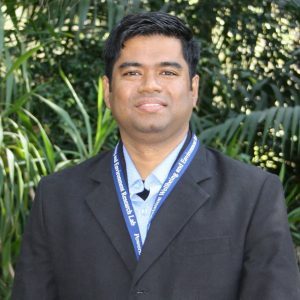 He completed his Bachelors of Urban and Regional Planning from the Bangladesh University of Engineering and Technology (BUET), and Masters of Science in the Environmental Management from the National University of Singapore. Mr. Shuvo has working experience in both research and professional urban planning jobs. Prior to joining the PhD program, he has worked as built environment researcher in the National University of Singapore, as a member of consultant team for the Dhaka Master Plan (2016-35) and as a deputy manager in a leading housing company in Dhaka, Bangladesh. Skilled in the Geographic Information System (GIS)/ Remote Sensing, statistical analysis, Faysal’s research interests are in the domains of environmental and social epidemiology’, health impact assessment of urban planning and green space planning.